Security experts on Thursday will conduct a government-sponsored test of the latest anti-theft security features built into Apple's iPhone 5 and Samsung's Galaxy S4, including the forthcoming Activation Lock feature from iOS 7. According to a report from CNET, San Francisco District Attorney George Gascón and New York Attorney General Eric Schneiderman have contracted experts from the Northern California Regional Intelligence Center to try and thwart Apple and Samsung's security systems. "While we are appreciative of the efforts made by Apple and Samsung to improve security of the devices they sell, we are not going to take them at their word," Schneiderman and Gascón said in a prepared statement. "Today we will assess the solutions they are proposing and see if they stand up to the tactics commonly employed by thieves." The experiment was announced as part of Schneiderman and Gascón's Secure Our Smartphone (S.O.S.) initiative that looks to protect smartphone owners from violent theft and thievery known as "Apple picking." The test is supposedly set up to mimic the real world scenario in which a stolen device is deactivated prior to resale on the black market. 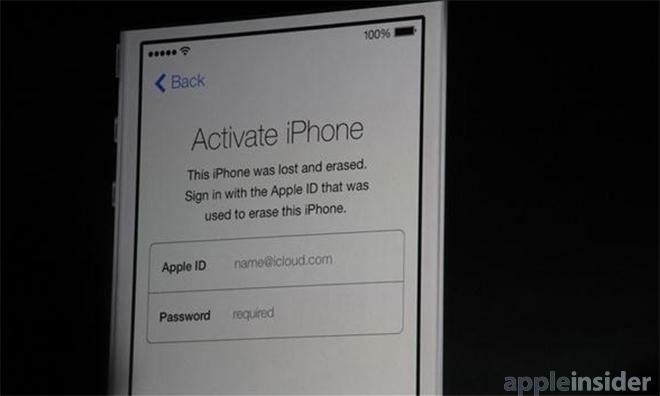 Apple's Activation Lock, which will be baked into the upcoming iOS 7, the original Apple ID and password used to activate the device are needed to to turn off Find My iPhone, wipe the phone's data, or re-activate it after being deactivated. In June, Schneiderman and Gascón were optimistic about Apple's anti-theft initiative, but cautioned they "reserve judgment on the activation lock feature until we can understand its actual functionality." Thursday's test is an apparent effort toward gleaning that information. "Finding technical solutions that will remove the economic value of stolen smartphones is critical to ending the national epidemic of violent street crimes commonly known as 'Apple Picking,'" the two officials said. Results are slated to be in by the end of the day.